The foodservice industry is experiencing large-scale disruptions driven by new technologies - specifically the Internet. It's impossible to imagine marketing a successful restaurant without a strong social media presence, or being able to give customers the convenience and quick service they want without touchscreens. Increasingly, restaurants of all types are incorporating those technologies to keep up with the competitive landscape. But the effect that technology is having on the industry goes behind the scenes too. More than ever, key business processes are only as efficient as the technology that facilitates them allows. The foodservice business is fast moving, and restaurants need to adopt new technology that boosts efficiency to keep up. 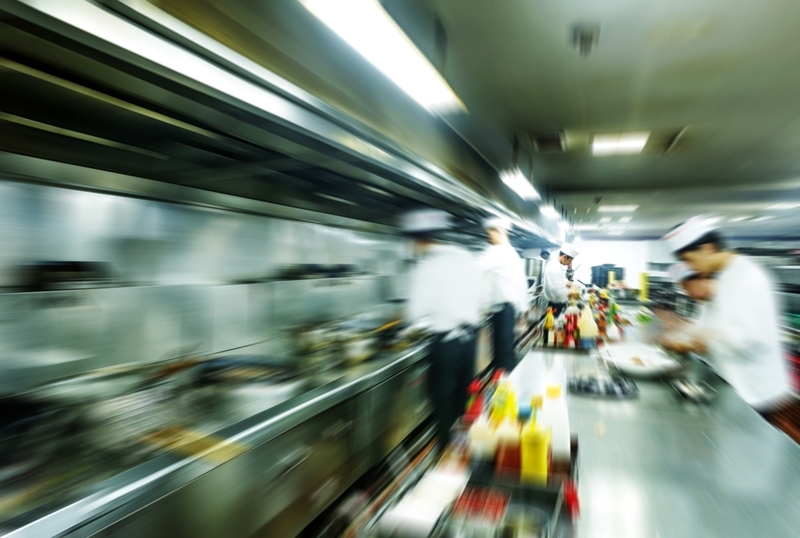 The foodservice industry is fast-moving, and those looking to stay afloat need to find ways to bring that tech into their businesses. But according to a report from QSR Magazine, it's not always easy to do this. The problem is the lack of integration among back-end solutions for various processes. For example, a restaurant chain might use one platform for ordering, another for tracking food and labor costs and yet another for inventory management. These platforms, and thus the processes they enable, are siloed from one another. This makes it difficult for managers to see the big picture and make connections between different processes. "The landscape of restaurant technology is unfortunately one where it's very proprietary and the various systems don't really talk to each other," Brad Chun, CEO of TechCafe, said to the news source. "It doesn't really make it easy for the operator that's running a restaurant to try to leverage technology." When it comes to supply management, being able to make connections between the virtual reams of data that every business collects is essential for a seamless operation. A SaaS supply solution gives unparalleled visibility into every facet of the supply chain from suppliers, to distributors to satellite locations. Additionally, the platform also allows disparate data types to work together. Historical sales data can be used to make pinpoint accurate order forecasts, while real-time views of periodic and perpetual inventory levels aid in waste management. The ROI on a SaaS supply management system manifests itself throughout the business in the form of lower food costs due to less spoilage and reduced labor costs, since the system can help managers use sales data to determine the adequate level of staffing for each shift. Integration of key supply chain processes in one solution keeps costs low and makes businesses more efficient - a necessity in today's fast-paced foodservice industry.